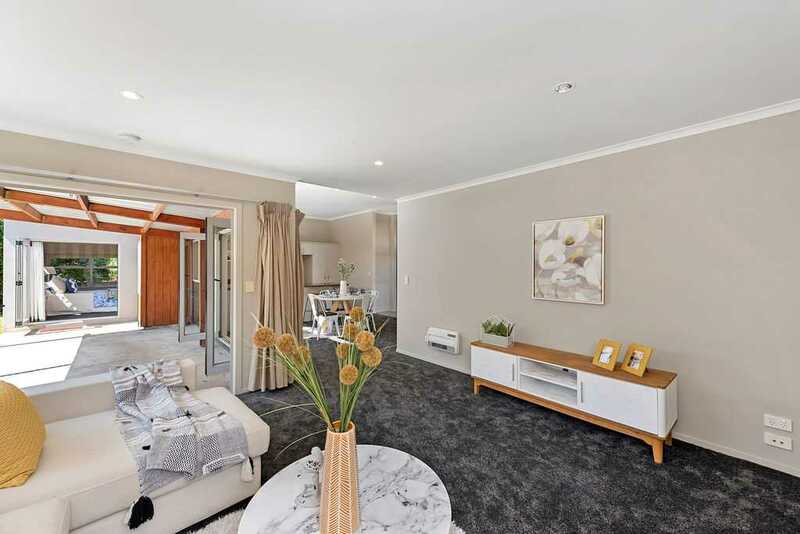 Set to embrace an easy-care lifestyle with minimal upkeep, this contemporary townhouse is a rare offering ideally suited to first home buyers, professionals and downsizers seeking to purchase in the sought after Rototuna location within walking distance to all local amenities. With the clever use of modern contemporary lines and materials, the 155m2 free-flowing layout is wrapped around a sheltered central courtyard encouraging effortless entertaining between indoors and out. Enhanced by a full height stud and overhead windows, the modern kitchen offers a functional workspace with a central island/breakfast bar, stacking servery window, plenty of storage space and stainless appliances. With plenty of glazing throughout to create a light living environment, the smart floorplan boasts three generous bedrooms with the master offering the full complement of walk-in robe and deluxe ensuite with an oversized fully tiled shower and bath for relaxation. Both bathrooms are well appointed with wall hung vanities and underfloor heated tiled flooring. Set on a 391m2 freehold section, you'll be enjoying each and every weekend with minimal lawns to mow. Enjoy all the modern conveniences that living in this fantastic location has to offer. You're within a brisk walk to both Rototuna Primary and the Rototuna Shopping Centre which offers a variety of specialty stores, supermarkets, cafes and restaurants. Your ideal lifestyle is within reach. Live life your way and contact Yvenna or Craig today to arrange your viewing.